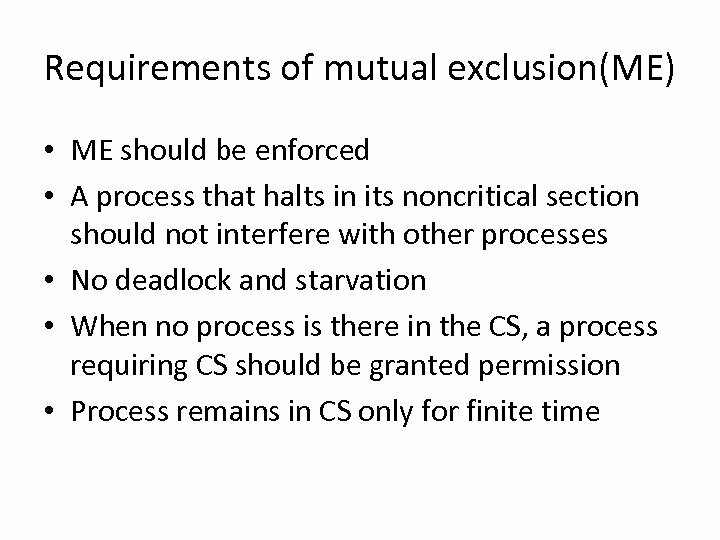 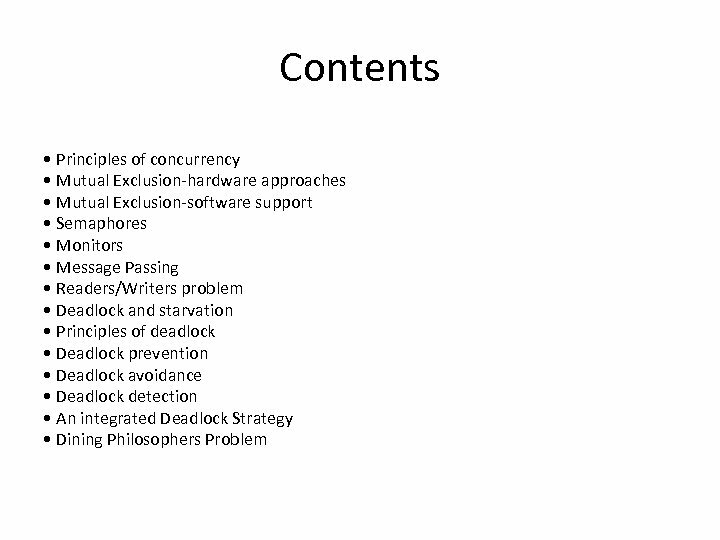 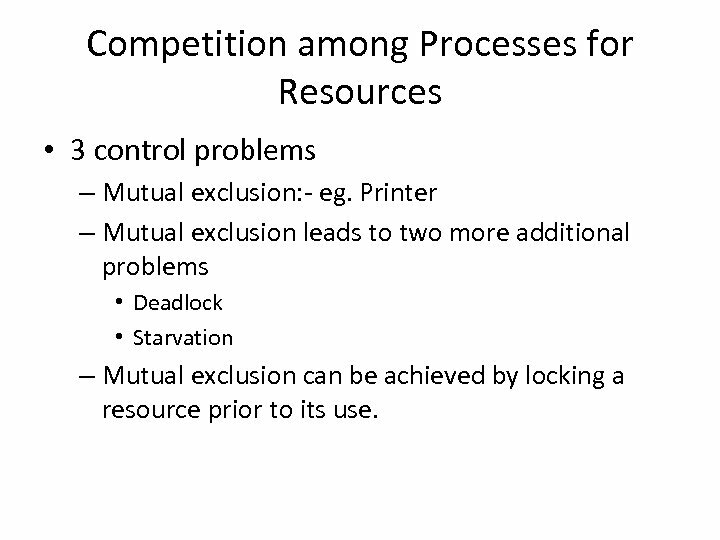 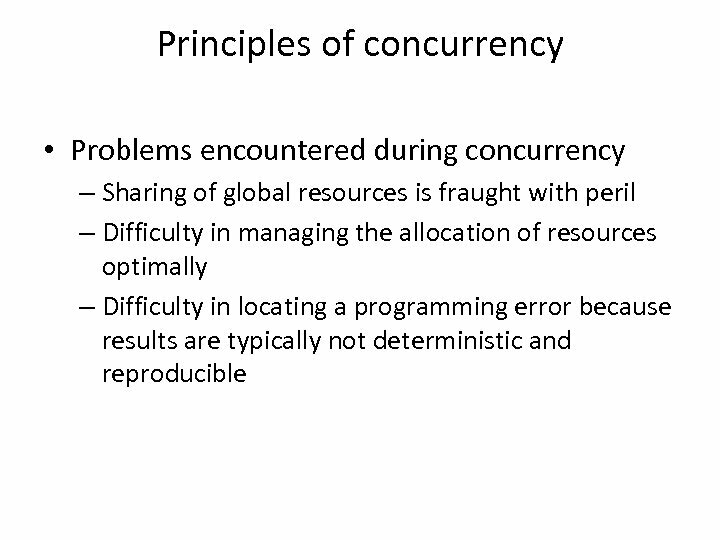 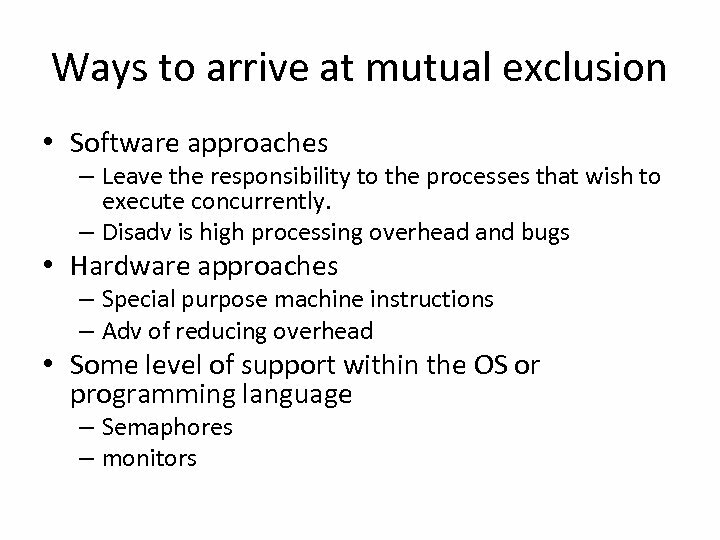 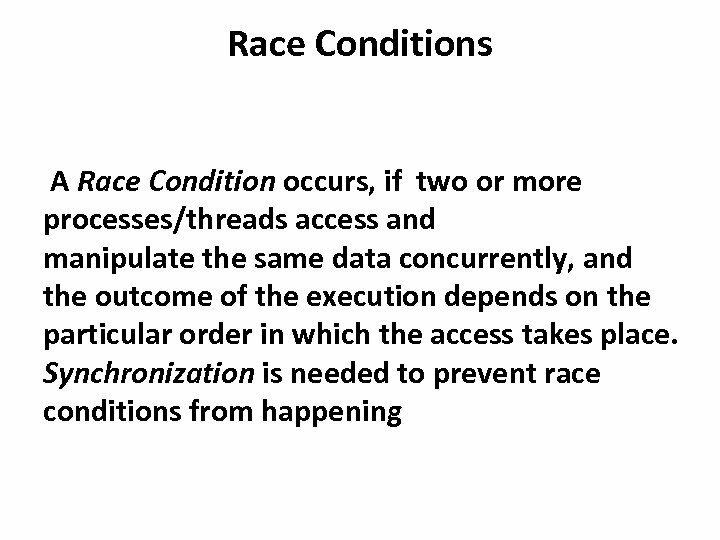 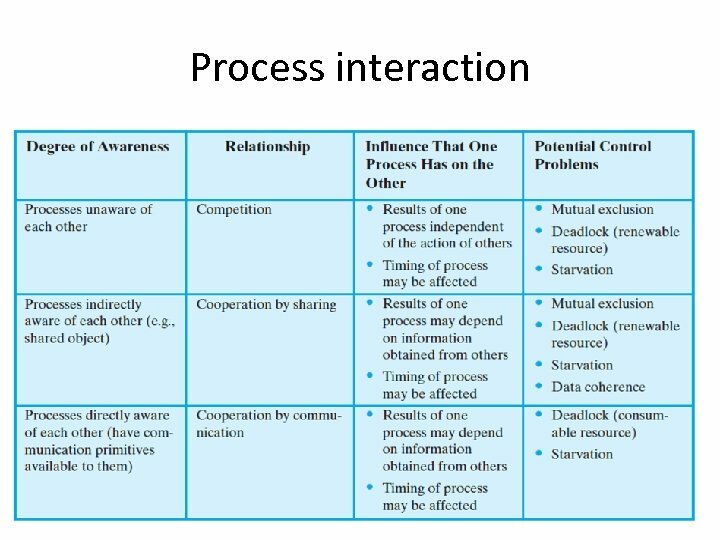 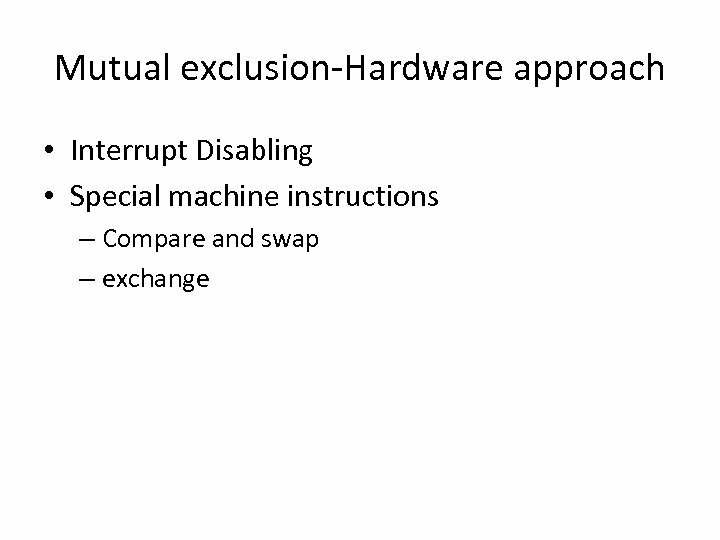 Competition among Processes for Resources • 3 control problems – Mutual exclusion: - eg. 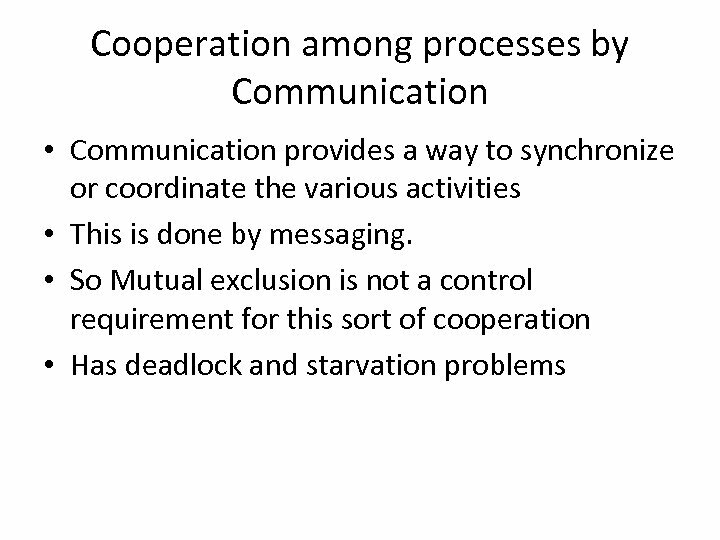 Printer – Mutual exclusion leads to two more additional problems • Deadlock • Starvation – Mutual exclusion can be achieved by locking a resource prior to its use. 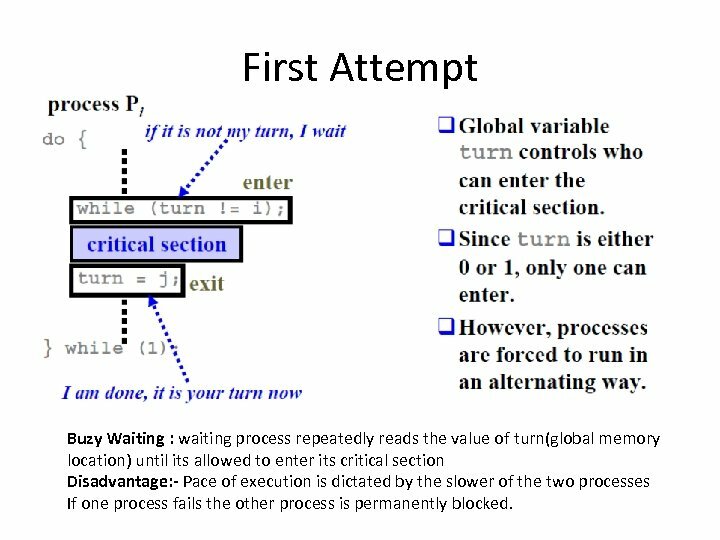 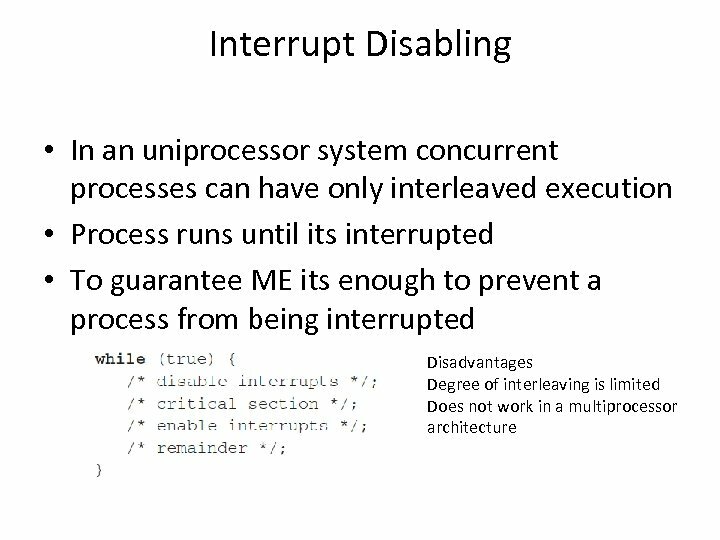 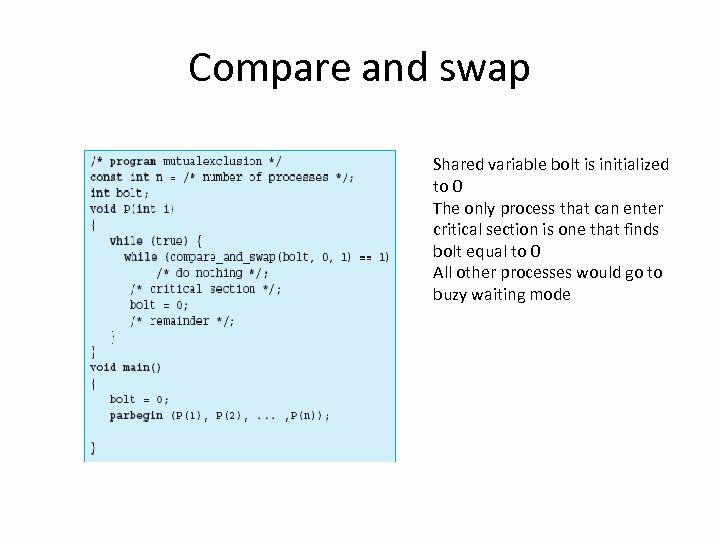 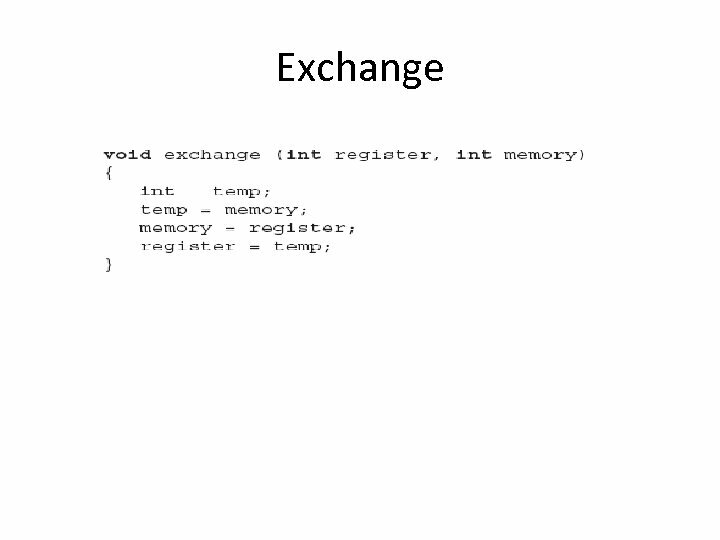 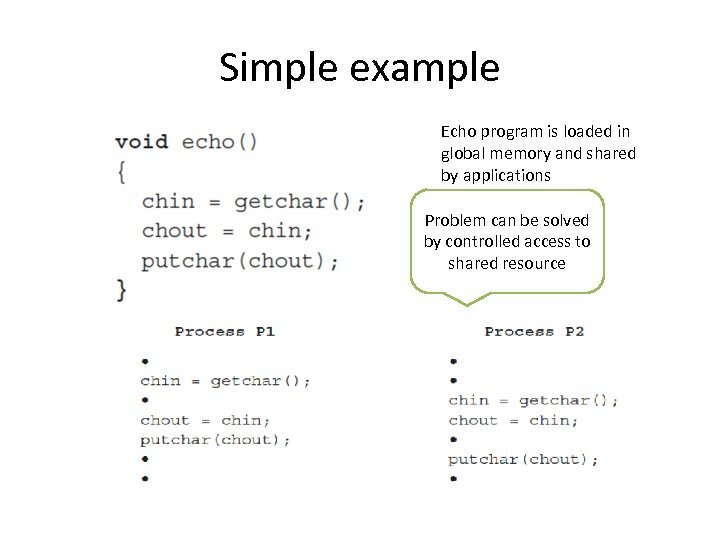 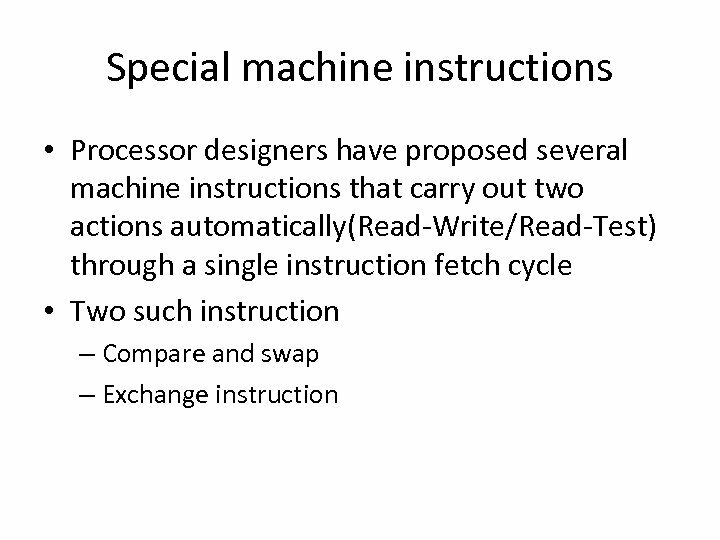 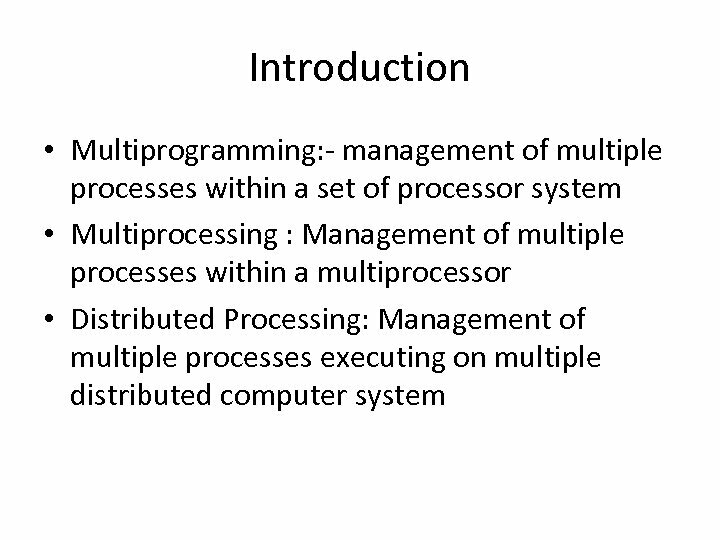 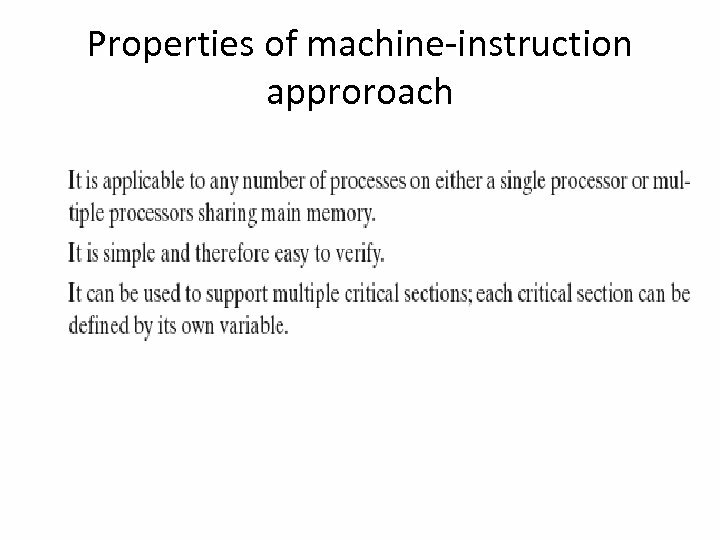 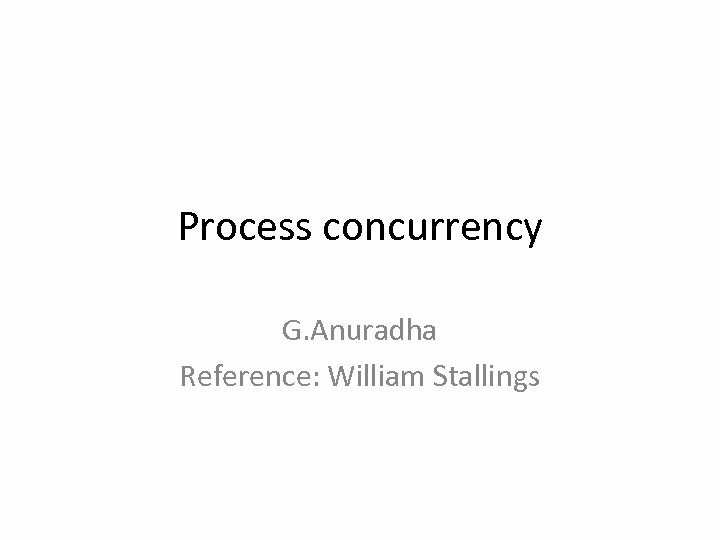 First Attempt Buzy Waiting : waiting process repeatedly reads the value of turn(global memory location) until its allowed to enter its critical section Disadvantage: - Pace of execution is dictated by the slower of the two processes If one process fails the other process is permanently blocked. 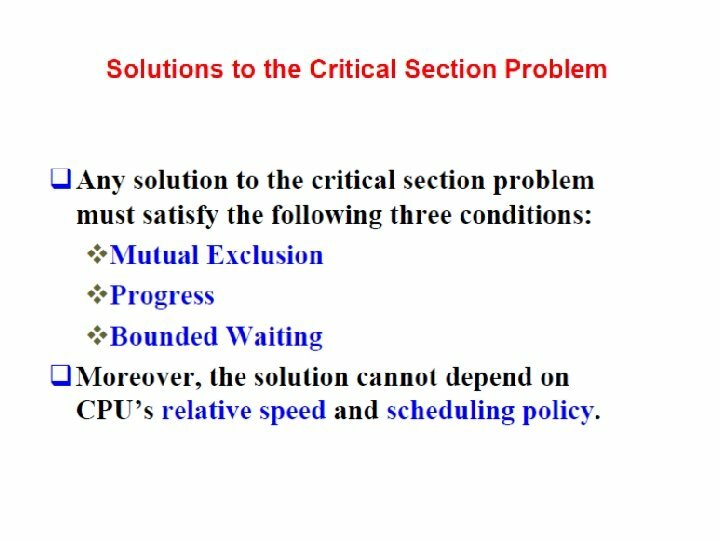 Third attempt Eliminates the problems in second attempt. 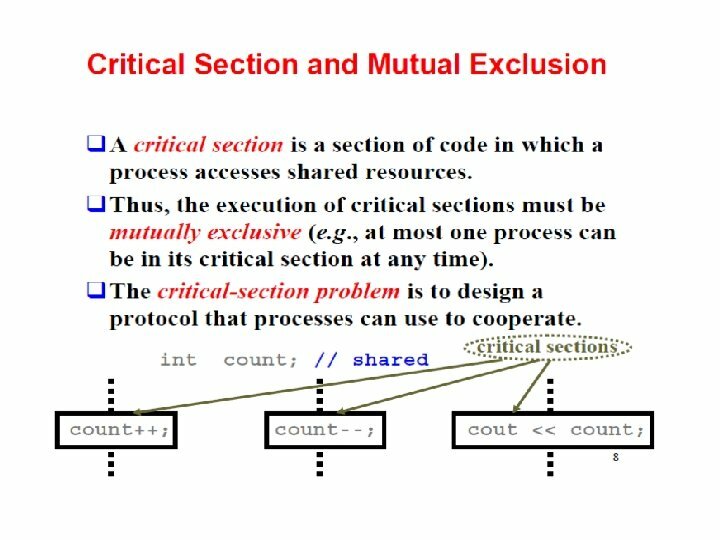 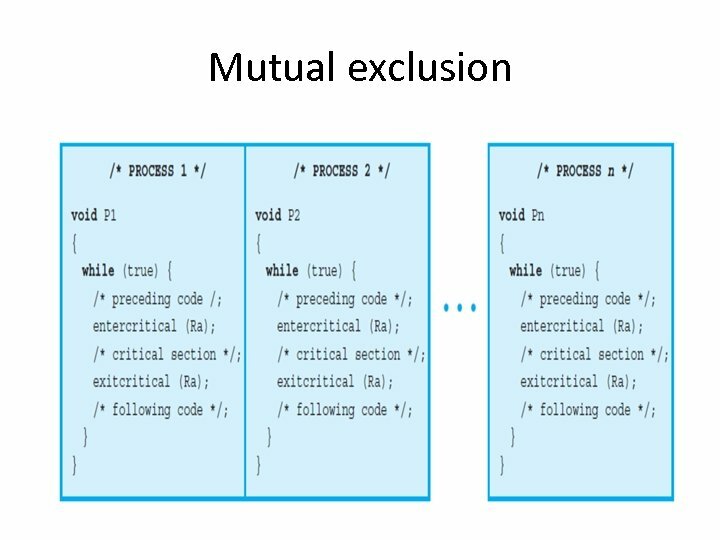 This guarantees mutual exclusion but creates deadlock, because each process can insist on its right to enter its critical section. 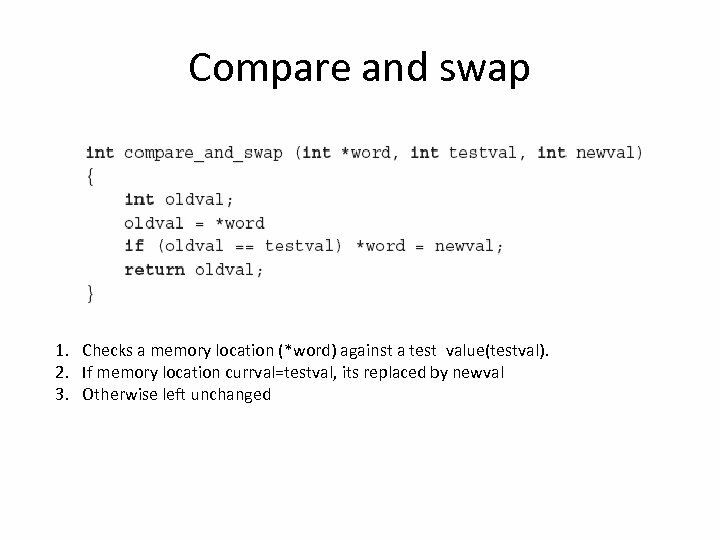 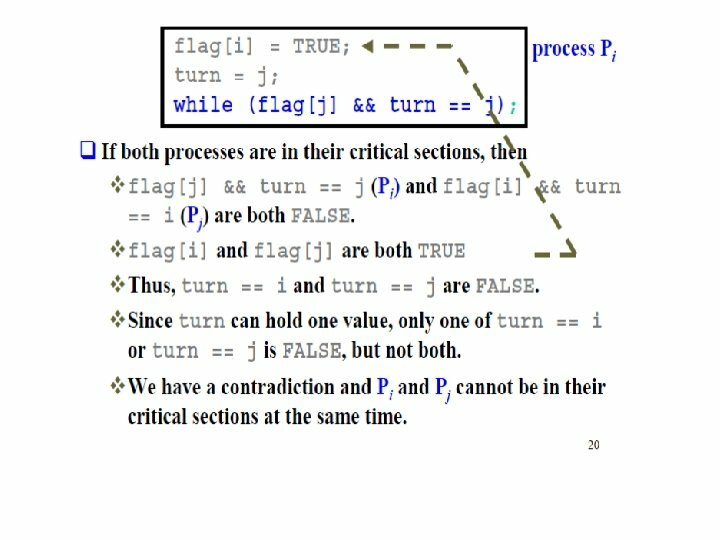 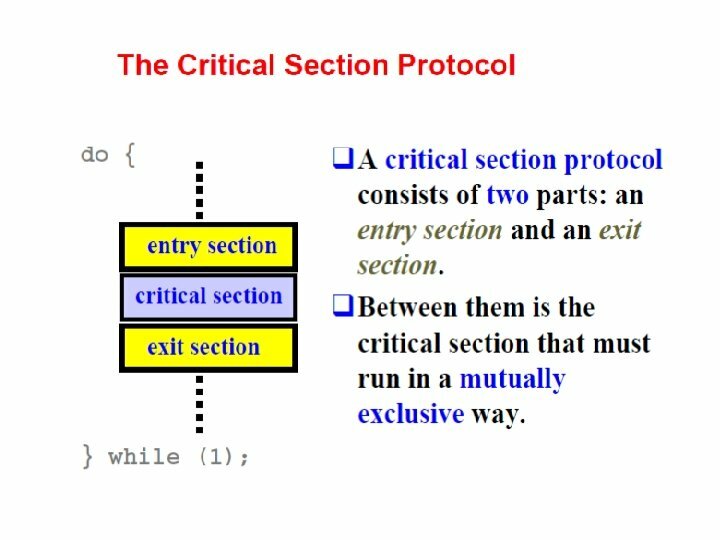 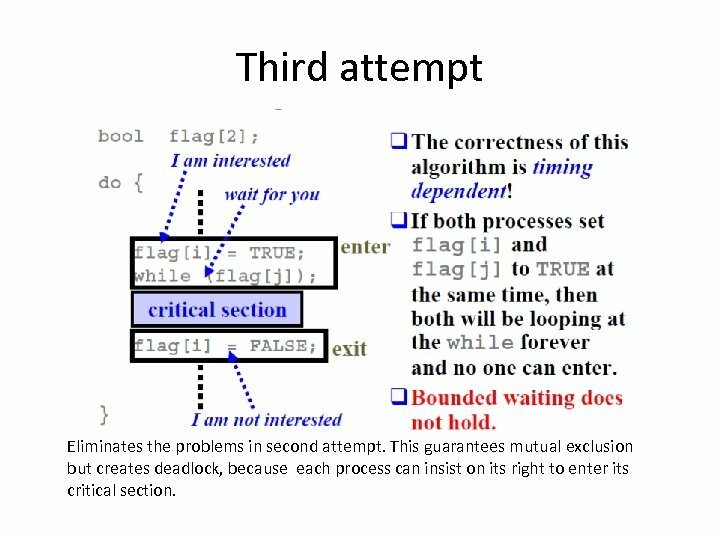 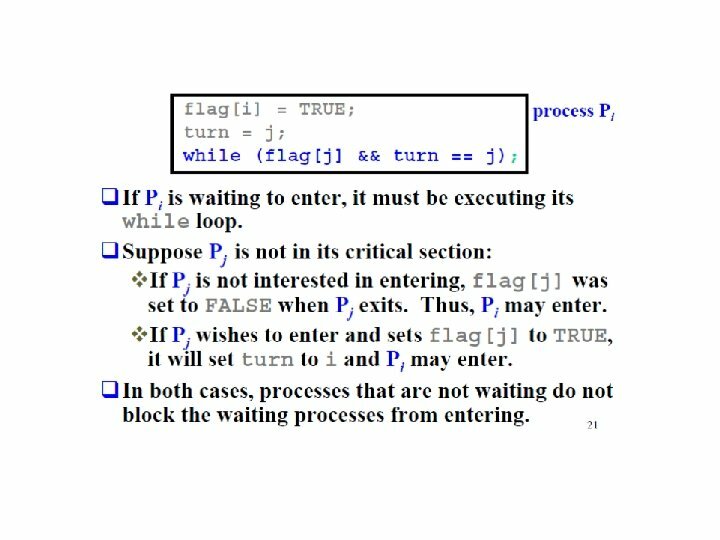 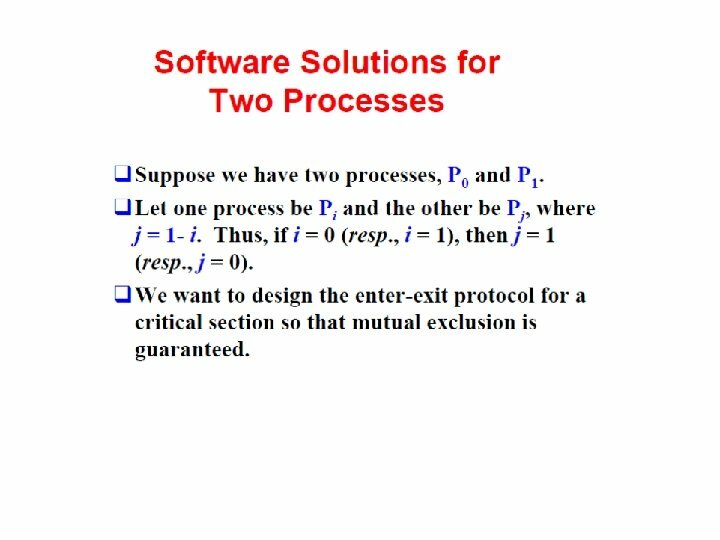 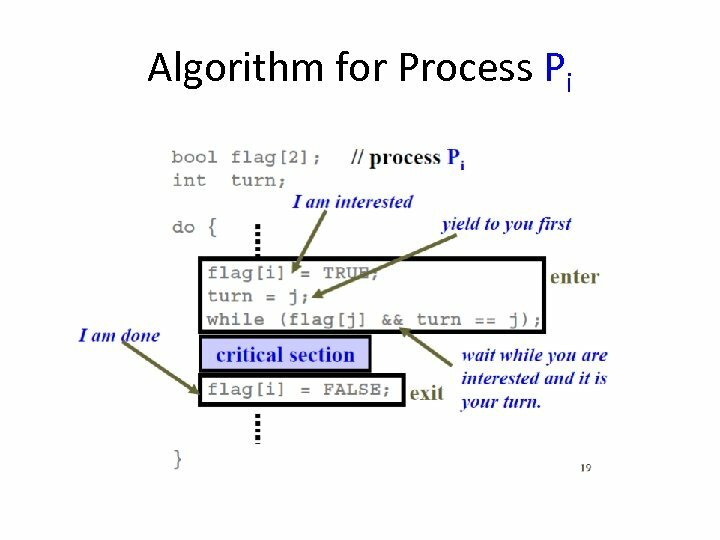 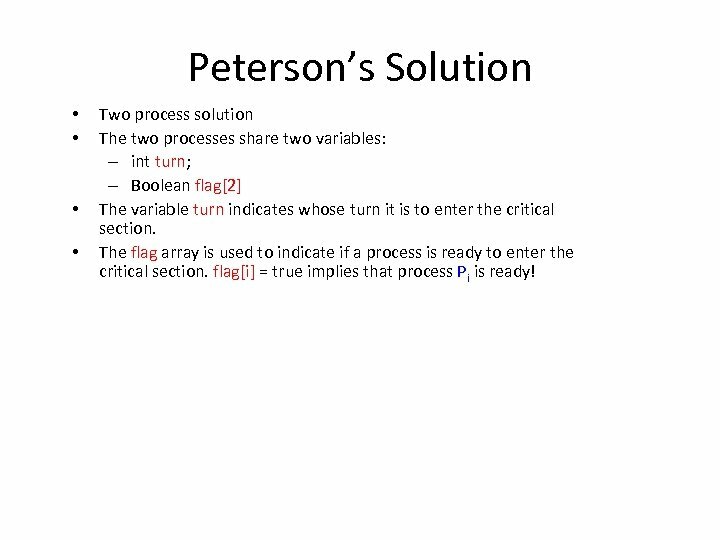 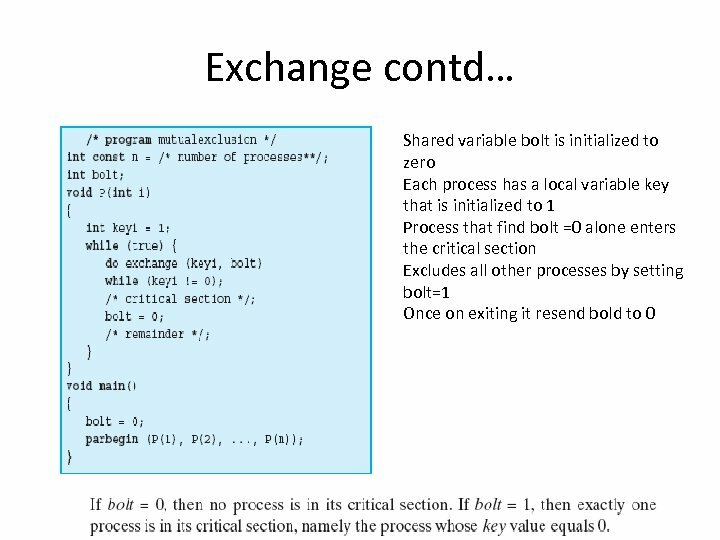 Peterson’s Solution • • Two process solution The two processes share two variables: – int turn; – Boolean flag The variable turn indicates whose turn it is to enter the critical section. 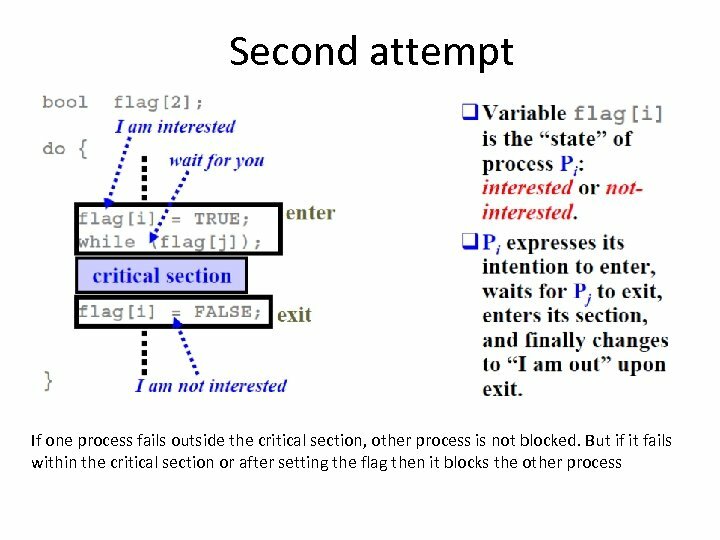 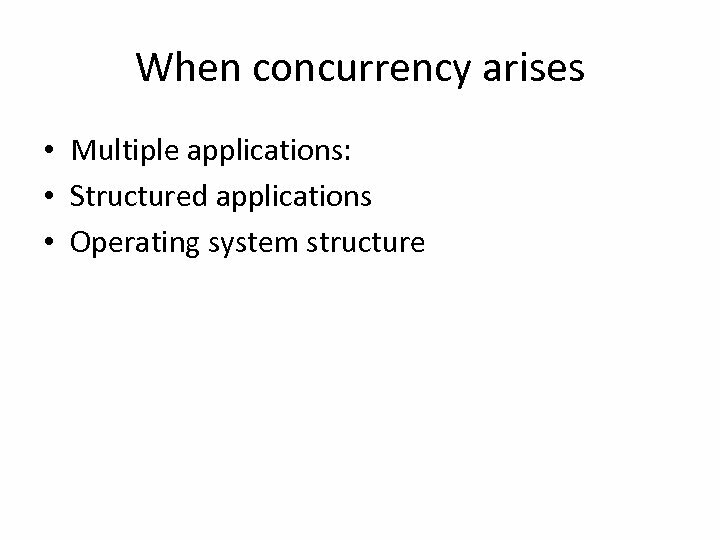 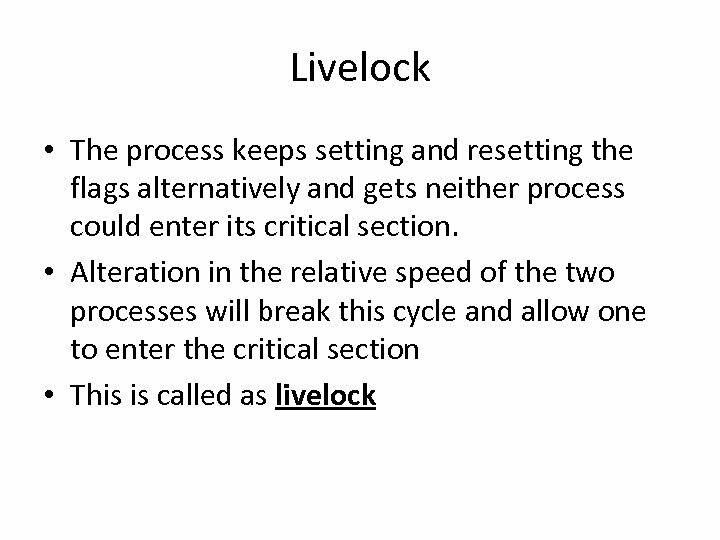 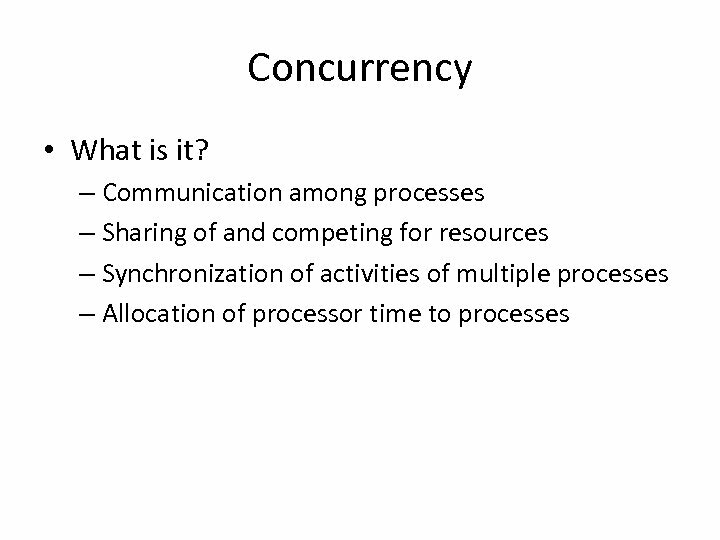 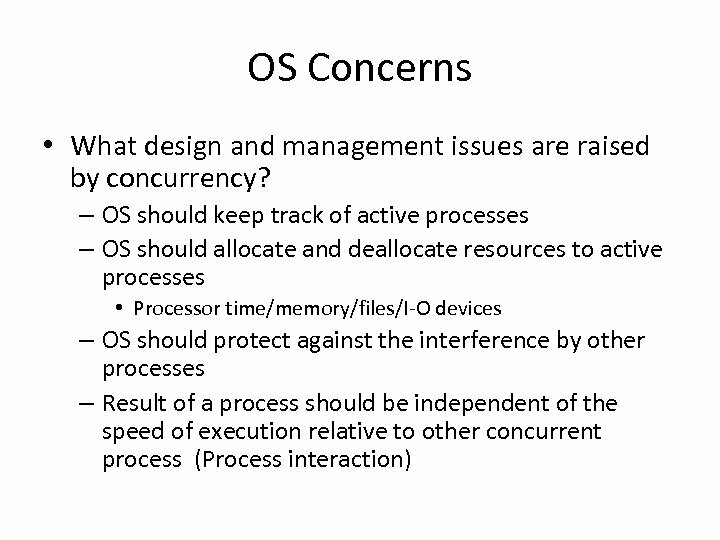 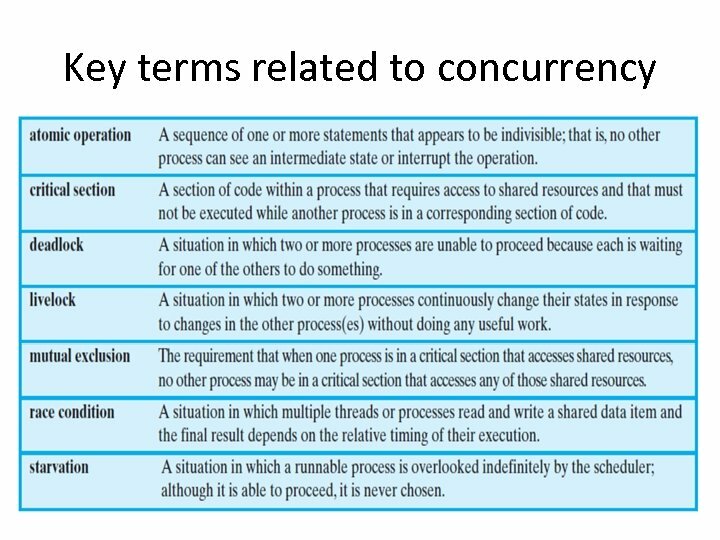 The flag array is used to indicate if a process is ready to enter the critical section. 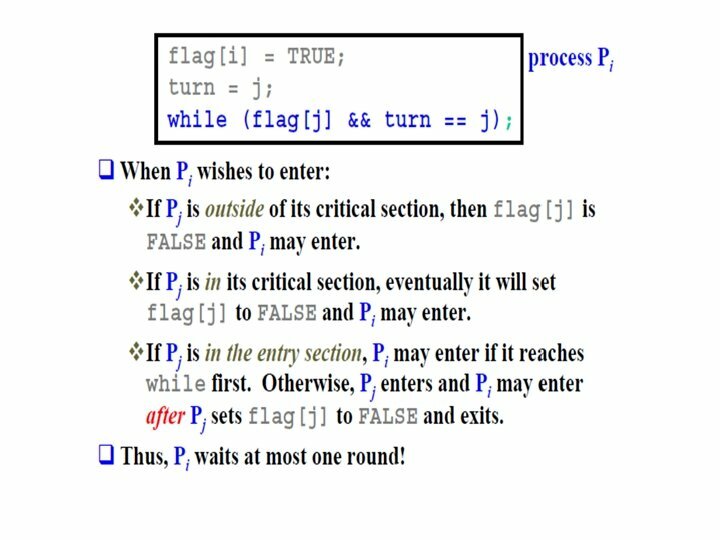 flag[i] = true implies that process Pi is ready!